Welcome to the Kalamazoo College Copyright Web Site. This site was developed to provide Kalamazoo College faculty, staff, and students with information so they can understand and comply with Kalamazoo College Copyright Policies as well as United States copyright laws. Please be aware that copyright rules can change. While we do our best to be complete and accurate, information on this site is not to be construed as legal advice. 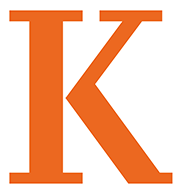 Kalamazoo College policies on reserve materials, Moodle & other course management systems, "fair use," educational course packs, and other local copyright concerns. An overview of United States law regarding copyright, including links to the U.S. Copyright Office, "Fair Use" policies, and the Digital Millennium Act. Information on appropriate uses of images, both in-print and electronically. Also includes a list of useful websites for questions about images and copyright and clearance rights for art works. Guidelines and FAQ over MP3's and other copyrighted materials. Requirements for showing a film to a group of individuals, which may require public performance rights. Hyperlinks to useful websites about copyright.